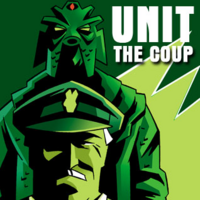 More activity over on SoundCloud; following on from Cuddlesome we now have another complete story available to stream, this being UNIT The Coup which which stars Nicholas Courtney! Hop over to have a listen or, if you want, go to Big Finish and get the same story by visiting its product page. Here it is available on download for £0 which is a bargain under any definition.